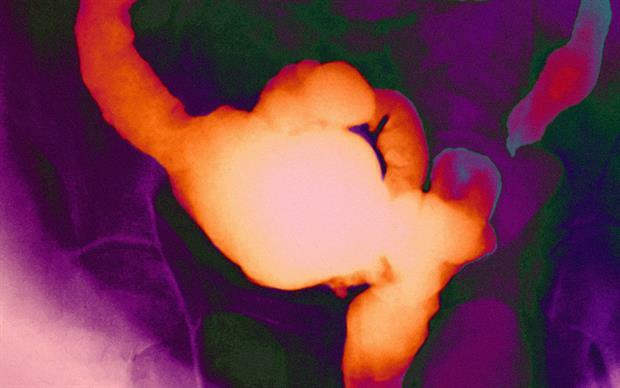 Patients with moderate to severe Crohn's disease should now have routine NHS access to ustekinumab (Stelara), after NICE acknowledged its positive impact on their quality of life. 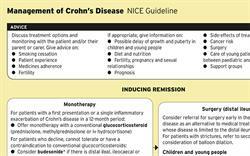 Ustekinumab is recommended by NICE as an option for treating moderately to severely active Crohn's disease in adults unresponsive, intolerant, or with a contraindication to conventional therapy or a TNF antagonist. Initially licensed for the treatment of psoriasis and psoriatic arthritis, ustekinumab works in a different way to other Crohn's treatments. It is a human monoclonal antibody that suppresses the effects of interleukins (IL)-12 and IL-23, which are known to play a key role in inflammatory and immune responses. The first dose of ustekinumab is given intravenously and subsequent doses are given as subcutaneous injections every 8 or 12 weeks. Treatment should be continued until an inadequate response is seen or until 12 months after the start of treatment, whichever is first. Patients should then be reassessed in accordance with NICE recommendations for infliximab and adalimumab to see whether treatment should continue. The choice of treatment between ustekinumab or another biological therapy should be made on an individual basis after discussion between the patient and doctor about the advantages and disadvantages of the options available. Crohn's disease follows an unpredictable pattern of remission and relapse, significantly affecting patients' everyday lives. Sarah Berry, Health Policy and Public Affairs Officer at Crohn's and Colitis UK, said: 'This ruling gives access to a desperately needed additional treatment option to those who may otherwise have been condemned to living with unmanageable disease progression with devastating impact on their quality of life'.